Sunnyvale, CA – At CES 2018, OSRAM Opto Semiconductors shows how its high-power infrared pulse lasers help create high-resolution, 3D images for LIDAR systems. Attendees can experience OSRAM’s highly-efficient 905 nm lasers in action in OSRAM's booth #3115, located in the North Hall of the Las Vegas Convention Center. LIDAR (Light Detection and Ranging) sensors are an essential element in future fully autonomous or semi-autonomous self-driving cars. The system operates on the principle of time-of-flight measurement. A very short laser pulse is transmitted, hits an object, and is reflected and detected by a sensor. From the time-of-flight of the laser beam, it is possible to calculate the distance to the object. 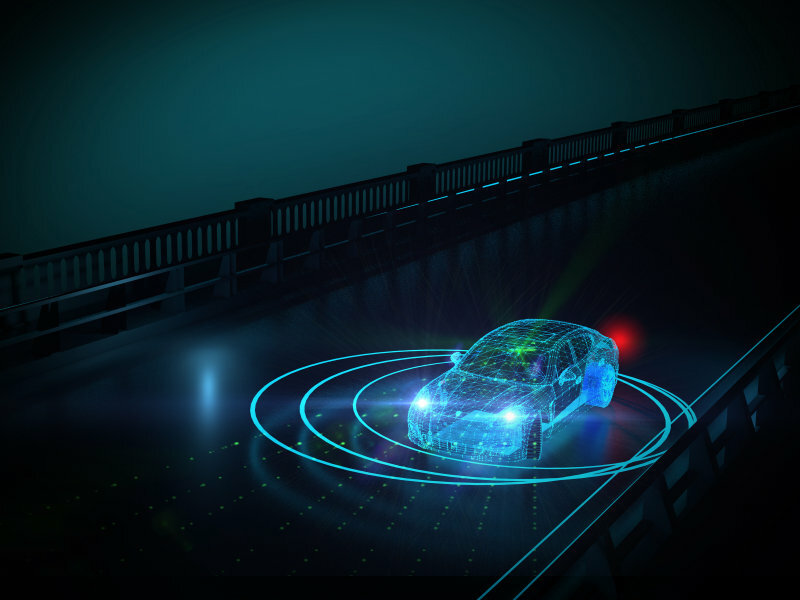 Pulse laser diodes from OSRAM Opto Semiconductors have been featured in cars for more than 10 years for time-of-flight (TOF) measurements in adaptive cruise control (ACC) systems and emergency brake assist systems. The company develops a range of lasers dedicated to LIDAR applications. All concepts are based on the company’s extremely efficient, high-power infrared pulse laser with 905 nm wavelength. Its short pulse length allows systems operating at high optical power levels to realize large detection ranges, while still being safe for the naked eye. New concepts include multi-channel solutions comprised of a laser bar with individually controllable laser diodes, which offer outstanding optical power, as well as completely new options for detecting objects. Together with a surface mountable package, these lasers benefit customers by reducing assembly costs and time needed for adjustments. For more information, please visit www.osram.com/CES. OSRAM’s lasers are found in LIDAR technologies from a wide variety of companies. They are helping speed the widespread adoption of autonomous and semi-autonomous vehicles. OSRAM, based in Munich, is a leading global high-tech company with a history dating back more than 110 years. Primarily focused on semiconductor-based technologies, our products are used in highly diverse applications ranging from virtual reality to autonomous driving and from smart phones to smart and connected lighting solutions in buildings and cities. OSRAM uses the endless possibilities of light to improve the quality of life for individuals and communities. OSRAM’s innovations enable people all over the world not only to see better, but also to communicate, travel, work and live better. OSRAM has approximately 26,400 employees worldwide as of end of fiscal 2017 (September 30) and generated revenue of more than €4.1 billion. The company is listed on the stock exchanges in Frankfurt and Munich (ISIN: DE000LED4000; WKN: LED400; trading symbol: OSR). Additional information can be found at www.osram.com.